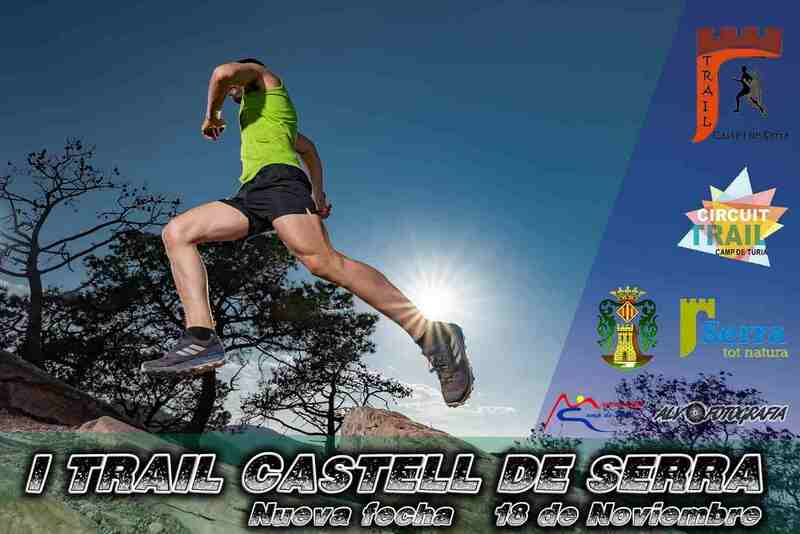 Serra will host the I Trail Castell de Serra next 18 November, after last month had to be canceled by the cold drop. A sports event that will be held in the heart of the Sierra Calderona and entirely within the natural park. More than 200 people have already registered to participate in a race of 26 kilometers and 1341 meters of positive height. The event is organized by the City Council of Serra and the Castell de Serra Mountain Club and is part of the Cicuit Trail Camp de Túria. The race has limited the inscriptions to 300 participants, since it passes in its entirety, by the Natural Park of the Sierra Calderona. After the official start, a children’s race is scheduled with two categories, from 5 to 8 years and from 9 to 12 years. Free registration in the Tourist Info of Serra. With departure and arrival in the Plaza de la S.M. La Primitiva, the trail will crown the mythical peaks of Alt del Pi (716 m), Sierro (737 m) and Rebalsadors (801 m), mountainous areas very appreciated by runners and fans of this mountain sport because of the great height difference they have. Following the FEMECV regulation, there will be three absolute, veteran and master categories. In addition to minimalist and local. During the course there are five refreshments and a massage recovery area at the end of the competition. The race will start at 9.00 and wants to be respectful with the environment, so there will be no plastic cups in the refreshment areas. The remains of wrappings etc can only be deposited in these points and will be disqualified to throw them out of the containers enabled in the refreshments. The inscriptions are open at https://www.toprun.es/eventos/i-trail-castell-serra-2018, where you can also check the regulations of the race.